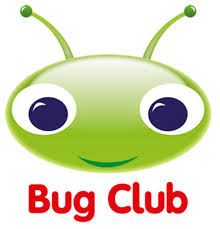 Every child in school from Reception to Year 6 is a member of our Bug Club. This is a web site where children can read a large variety of e books. Every child has their own log in details. Class teacher's will have set up the system so every child in their class accesses books suitable for the level the child is working on. Books are interactive, and questions are asked throughout the text to check understanding. The class teacher can see how many books each child has read, and what comprehension questions were answered in order to identify areas causing difficulties or to know when to provide more books! Please support your child and encourage them to use the Bug Club at home. If you do not have access to a computer please let your class teacher know and we will try to provide more time in school for this! Click on the log below to take you to the login page!